Hinchliff-Pearson-West can trace its roots well over 100 years. It was the partnership between Jack Hinchliff and Richard Pearson that set the high standards of serving the public needs at the time of loss. This partnership was formed after both men served their country in World War II. They purchased the business from Jack Hinchliff’s father and another partner in the 1950s.. In 1966, Hinchliff and Pearson had outgrown their Broad and North Street location. They joined with Chan West, owner of the Kimber and West Funeral Home, and built the building at 1070 West Fremont Street. The name of the business was changed to Hinchliff-Pearson-West. It is in this building that the business operates out of today. A few years later Hinchliff-Pearson-West joined with the Hannam and Copeland Funeral Home to consolidate their operations and become more efficient in their service to the Galesburg area families. Abingdon. 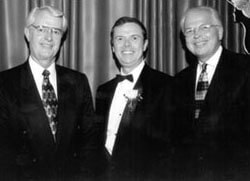 In 1988, E. Wayne Hull, George E. Peterson and David R. Pearson purchased the business from Hinchliff and Pearson. They continued to operate it in the same manner as their predecessors for 29 years. Over the course of that time, they mentored their funeral directors and support staff in the art of providing caring service to families of Western Illinois at a time of great need. 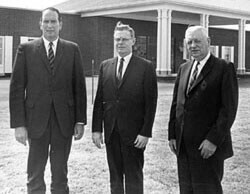 In 2016, Wayne, George, and Dave decided to sell the funeral home to prepare for retirement. 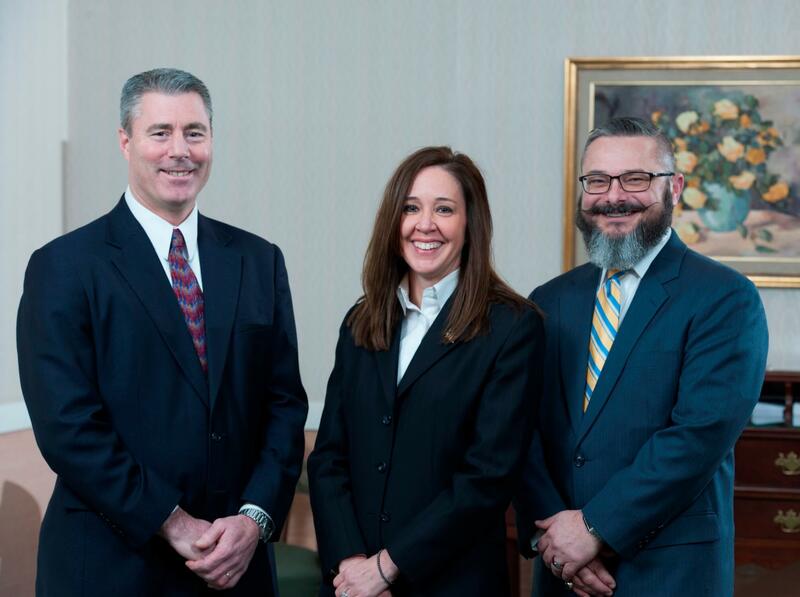 Long-time funeral directors, Alan R. Palmer, Carrie L. Walters, and Todd M. Ettinger, formed a partnership and purchased the funeral home in early 2017. Their motivation to take over the business was to guarantee a continuation of top notch care and service that folks have become accustomed to when they experience a loss. Alan, Carrie, and Todd plan to carry on as their mentors have shown them and they hope to become mentors to a new generation to take over for them one day.